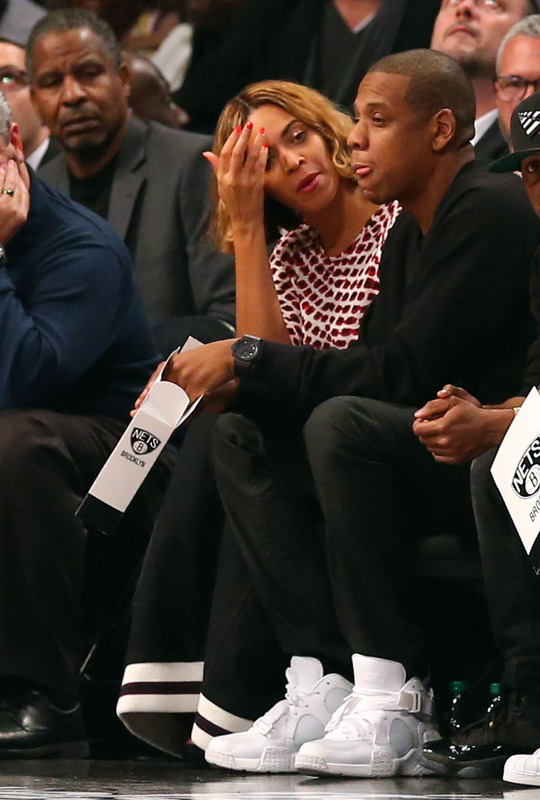 Jay attends Brooklyn's home opener in limited collaboration. 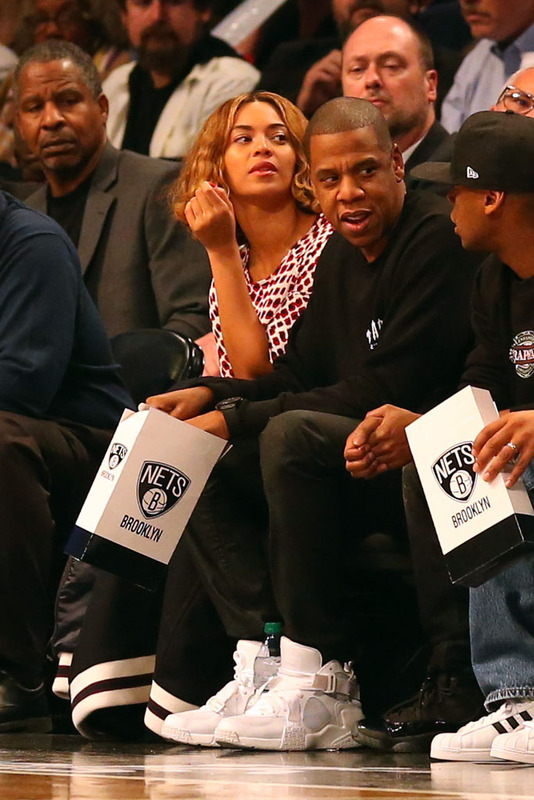 Though he sold his stake in the team to get into the sports agency business, Jay Z is still a fan of the Brooklyn Nets. 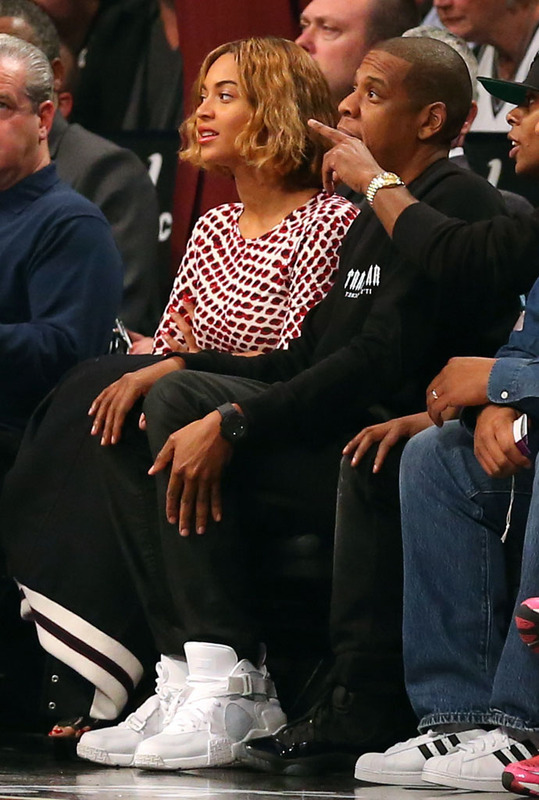 For last night's home opener at Barclays Center, the rapper took his usual courtside seat, tripping referees in Pigalle's white-on-white Nike Air Raid collaboration. The sneakers released in limited quantities at select Nike retailers back in September. Pairs have recently been fetching anywhere from $300 - $350 on eBay.